Designer and developer of software. 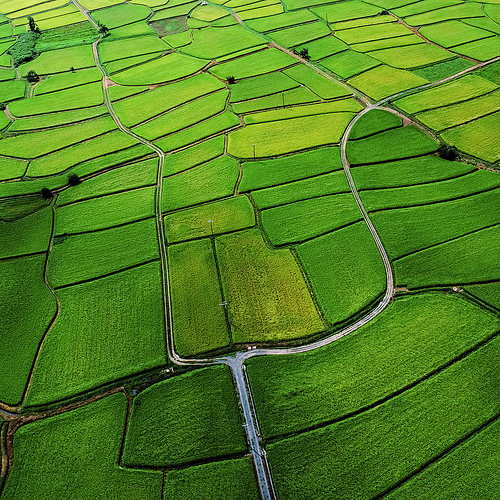 Believes the pursuit of beauty yields simplicity. Creator and consumer of open source software. Good at naps! In Search Of… a Ruby method with the semantics of Enumerable#map and Enumerable#inject. That is, to transform values while also having access to the prior iteration return value. Sounds odd, I know. Right now, as of Ruby 2.5, I don’t know of a clean way of doing that. Clean being in the eye of the beholder, I suppose. It can be done with Enumerable#map or Enumerable#inject, but it ain’t pretty. TL,DR; When building an application using Rails, I prefer to keep all my model in app/models/. I reserve lib/ for those other things - those not-my-domain-things. I’d like to explain the what and why. Rails has a history of co-opting names, as happened when the ActiveRecord library used the active record pattern name. A similar co-opting has happened with the MVC pattern wherein many believe Rails is an example of the MVC design pattern. In truth, it’s probably closer to MVC Model 2… but I digress. MVC stands for Model, View, Controller. In Rails-land we know what the Controllers are. And while we don’t have Views in the way that MVC meant, we do have view-templates, and we call those our views. The Model is meant to be all the things it takes to model our problem domain. As applied to Rails, the Model seems the most misunderstood/misused of the MVC triumvirate. Rails-era web apps have some great tooling and deliver a pretty nice development experience. The shift toward rich client-side web experiences has lead to some great tooling that makes for a 1st-class web development experience. Between these two approaches lies a no man’s land. The tooling and techniques are focused largely on either end of the continuum despite the large population of apps living in the middle. We then pipe that to grep to match on the "\*" character, inverting that match via -v to get all merged branches sans the current one. And there you have it. Go forth and clean up! Always looking for more concise ways to express ideas, I’d like to present two terms for your consideration. An anti-pattern for "sharing behavior" or "separating concerns" of an object. In practice such modules often contain code that is related in name or function, but lacking a cohesive purpose. See also: GDD. A software development process that relies on searching full source code to find usages of methods and deduce intended behavior of a piece of code. Often caused by lack of coherent and cohesive design. See also: BOMM. Thanks to fellow Highgroover, Andy Lindeman, for helping me to finally define these terms. Or at least, refine them. If you’ve not yet seen Justin Leitgeb’s GoGaRuCo talk, Sensible Testing, go check out the slides. I hope the actual talk is posted soon; I’m sure it’s more rich and full of context. Overall I agree with most of Justin’s points. However, I get the feeling that he, like many folks, approaches testing as a method for verifying the correctness of code. As I understand the thesis, CUPID is to testing what SOLID is to design. While I’m not opposed to laying down some names and concepts to improve the state of testing, I don’t believe testing should be the goal. It’s not about testing. I believe testing is a tool to be used in guiding your design. Why does Rails’ accepts_nested_attributes_for approach always feel so darned wrong? My suspicion is that it feels wrong because it likely is wrong - or at least it is likely the wrong tool for the job. 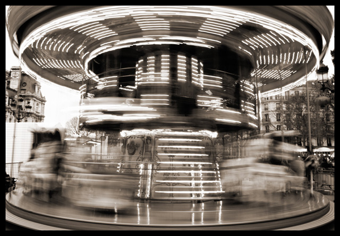 An accounting of a recent ride I took into the accepts_nested_attributes_for merry go round. In order to create a Message, I have to first create the Conversation it’s a part of. This sounds like an explicit workflow, so I’ll model it that way. FFFUUU, this is too complicated! There must be an easier, more Rails-y way. I know, Conversations can accepts_nested_attributes_for :messages. Brilliant! FFFUUU, this is too complicated! There must be a simpler way. I know, rather than shoehorning this into an overly-coupled mess I’ll model it as an explicit workflow! Remember, easy is not the same thing as simple. When I started writing tests, around 2005, I was stoked just to have the tests. When I started writing tests first, around 2006, I was excited because I was Doing The TDD. A couple of years later I found that writing tests was getting really painful. Painful because they were so damn hard to set up, and painful because I had to wait too damn long (on the order of 10-15 minutes) for the test suite to run. I reacted to the pain by changing how I write my tests; I discovered mock objects. My tests got faster, but they were still painful. In 2008 I was talking with Corey Haines about test pain, object-oriented design, and “listening” to the former to influence the latter. Scott Bellware also contributed much insight, forcing me to really think about what I hoped to gain from writing tests. Those conversations help to crystallize it for me: the root cause of the pain was not the tests, but the design of the code under test. I had been doing test-_first development_, not test-driven design. In the years since I’ve honed my technique for driving design by listening to tests and I continue to seek out the ideas and experiences of other fast test fanatics. The Ruby and Rails communities have accelerated this path for many. I would say it’s not uncommon for new folks to get started where I was in 2005 or 2006. What’s more exciting is the growing numbers who are starting to feel some pain in how they test. The next step is to become more aware of that pain; lower your pain threshold and then make it stop hurting! It was by no means an overnight endeavour. It literally took years of work for me to figure this out, and I’m both happy and proud to say that I’m still learning. I hope by putting my experience out there, yours can be better, faster, MOAR! Another Git Repository Visualization, Just for Fun. I’ve created visualizations for Git repositories before – the one tracked a product from its first commit through launch. And while I still think there is some information and insight to be gleaned from such visualizations, the real reason I like to make them is… I think they’re neat. To celebrate launching the latest incarnation of VersionOne, I made another visualization! This one tracks all changes made in our Git repository that occurred between our last major release (in late February) right through the very last commit that made it into the Spring 2011 release. Wow… that really sounded like a sales pitch, didn’t it? I hate sales pitches! To rebase, or not to rebase - for me its not really a question. I generally prefer a clean, linear commit history. Why? 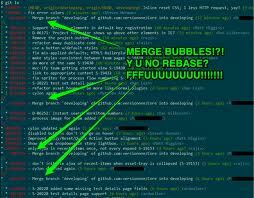 Because merge bubbles make history confusing, noisy, and can break git bisect. Don’t believe me? Check out the pretty log to the right. See all those merge bubbles in there? Eww! By default git pull will fetch any new commits from the remote, and then merge any local changes in, resulting in the merge bubbles.